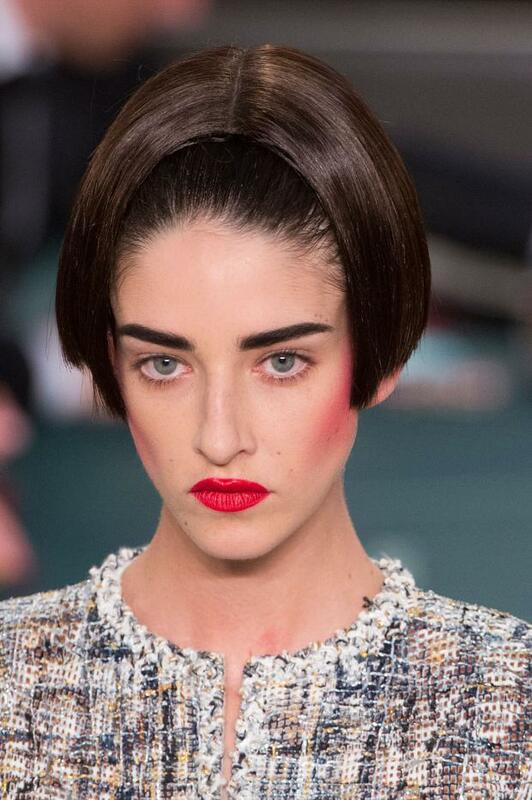 Bobs, blush and red lips hit the Chanel show at Haute Couture Fashion Week in Paris. “Karl sent me, as usual, a sketch of a very specific, sharply angled bob, which he felt perfectly accentuated his designs,” said mane master Sam McKnight. 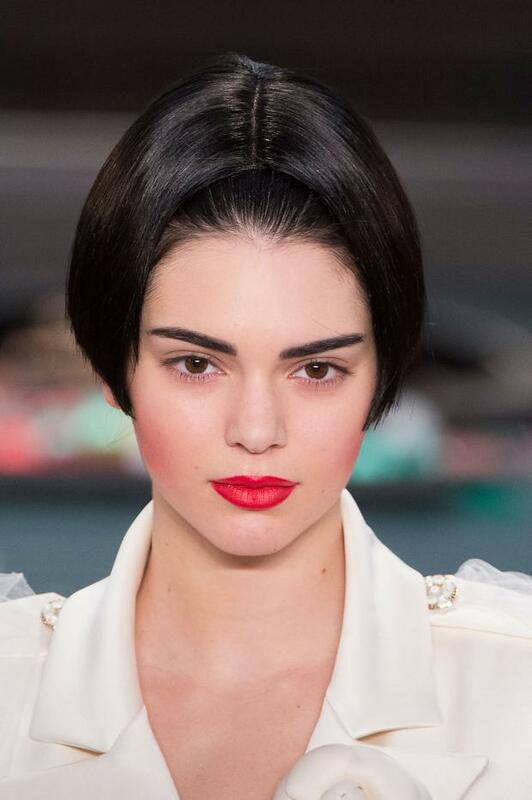 “We went to work in the studio, cutting and shaping dark wigs into slightly different lengths and angles.” The end result was a “wig hat,” a “slightly futuristic accessory” we saw the French house call upon at the Resort show in Seoul.